Voters picked longtime urban planner and former Clackamas County chairwoman Lynn Peterson to lead the Metro Council. She'll join newcomer Juan Carlos Gonzalez of Hillsboro on the council. A race for a seat representing much of Clackamas County was still undecided in early returns. The seven-member Metro Council oversees a regional government agency responsible for land-use planning and other programs. Peterson, of Lake Oswego, held a commanding 78 percent to 21 percent lead over opponent Michael Langley, who did not actively campaign. She'll take the place of Tom Hughes, who served the maximum two consecutive terms. It was unclear if Betty Dominguez of Oak Grove, who was appointed to the District 2 seat representing much of Clackamas County earlier this year, would have a chance to keep the seat. Lake Oswego City Councilor Joe Buck, who won 38 percent of the vote in early returns, appeared headed for a runoff with either Christine Lewis of West Linn, at 22 percent, or Dominguez, at 20 percent. Gonzalez, a nonprofit executive, beat opponent Dana Carstensen, a Metro employee, 55 percent to 44 percent to represent District 4, which also includes Forest Grove, Cornelius and parts of Beaverton. Shirley Craddick of Gresham was re-elected to the District 1 seat after running unopposed. She represents much of east Multnomah County, as well as Damascus and Boring. Peterson and Gonzalez won't take office until January, after the Metro Council has made a key decision on whether to expand the urban growth boundary and make more rural land available for development. They will also sit out the council's decision on whether to refer to voters a $516.5 million bond measure to fund affordable housing projects. Voters also easily re-elected Metro's auditor, Brian Evans, who ran unopposed. If you want to lead the agency that oversees the entire Portland metro region, you need an intimate understanding of the cities within it. What better way to gain that knowledge than from the seat of a bicycle? Candidate for Metro Council president Lynn Peterson is no stranger to cycling so it makes perfect sense that the transportation industry veteran has launched a 24-city bike as part of her election campaign. Dubbed #24byBike, Peterson has already visited Gresham, Hillsboro, and Happy Valley. 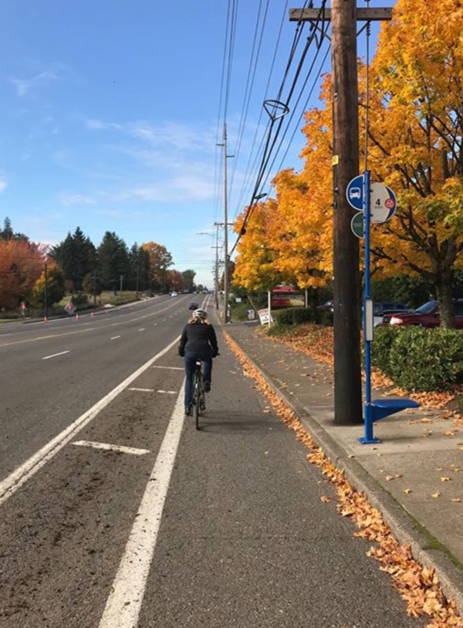 Back in December she joined staff from the Portland Bureau of Transportation for a close-up look at the route for the future Central City Green Loop. And this is not just a photo-op. Peterson is an experienced rider who I’ve seen pedaling a bike at a number of events over the years. Peterson got her start in the transportation world as an engineer at the Wisconsin Department of Transportation. Since 1994 she’s held a number of positions in the Portland region, starting as an intern with the traffic-calming program at the City of Portland and most recently as the Director of Washington State Department of Transportation and interim director of land-use advocacy group 1000 Friends of Oregon. Metro has begun working on two potential regional ballot measures. The first is a November 2018 measure to help fund affordable housing projects. The second is a November 2020 measure to help pay for transit and transportation projects. But although most details have yet to be determined, Metro officials and other insiders say the two measures are related. One goal is to build affordable housing projects in corridors that will be improved with the transit and transportation dollars. Lynn Peterson, the former Clackamas County Commission chair who is heavily favored to be elected to head Metro in the May election, offered one vision of this future Tuesday night. 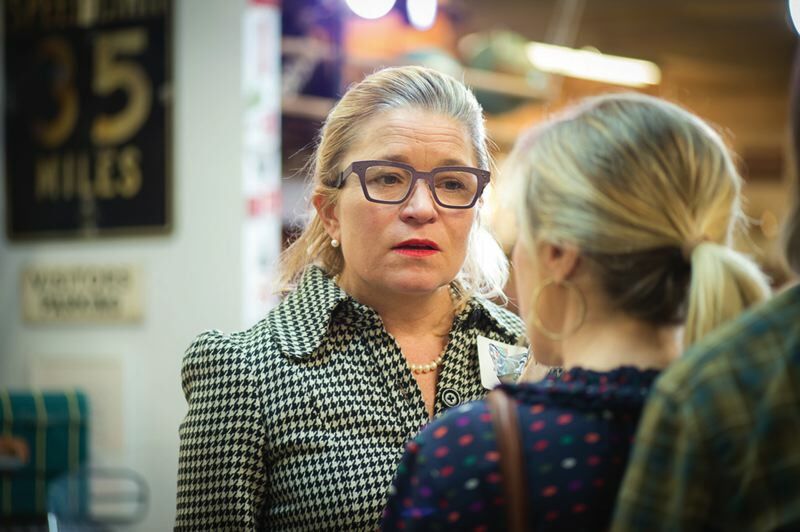 Speaking during a panel discussion on transportation issues hosted by Business for a Better Portland, she said local governments in the region should acquire and redevelop state highways that currently serve as major arterials. They include the Tualatin Valley and Beaverton Hillsdale highways, as well as Barbur, Powell and McLoughlin boulevards. "The state doesn't manage them the way we would. I can see them with sidewalks and housing on both sides, and beautiful medians in the centers instead of turn lanes. I can see families with babies in strollers safely crossing East Powell," said Peterson, a former director of the Washington Department of Transportation, who is the only candidate so far in the race for president of the Metro Council. 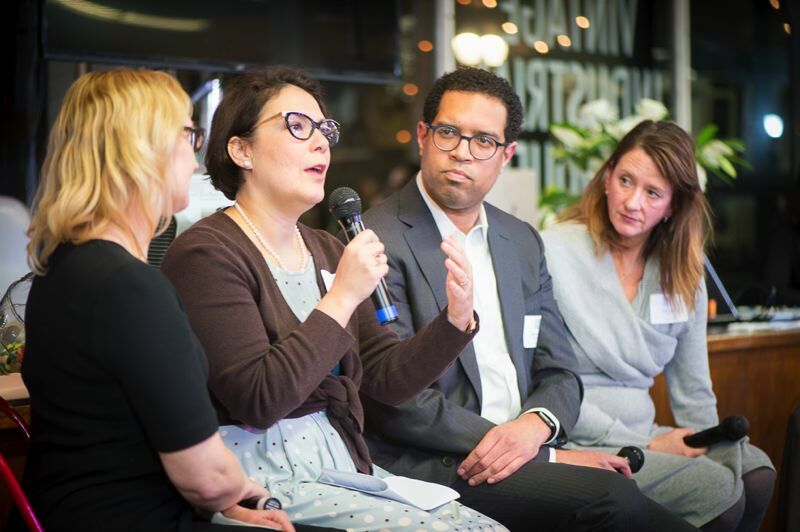 Multnomah County Commissioner Jessica Vega Pederson, who also spoke on the panel, agreed that a big vision is needed to sell both measures to regional voters. 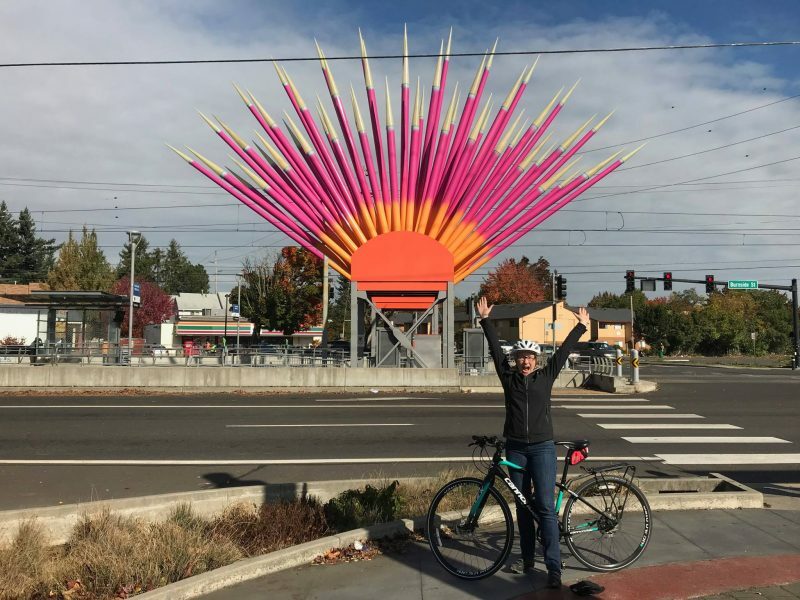 "We need a catchy vision, like, 'Where would you like to go today,'" said Vega Pederson, who represents District 3, which includes much of East Portland and East Multnomah County, where transit and transportation services are poor. The other panelists at the Jan. 30 discussion were Portland Bureau of Transportation Director Leah Treat and Nolan Lienhart, a principal and director of planning and urban design at the ZGF architecture firm, which has worked on numerous transit projects, including the renovation of the downtown transit mall. The event was co-sponsored by Metro. The year-old business organization did not host the discussion solely because of the Metro measures. Chief Collaboration Officer Ashley Henry explained that transportation is an emerging issue for businesses because increasing congestion is interfering with their operations. Creating affordable housing along major transit and transportation corridors is one way to help reduce congestion, she said. 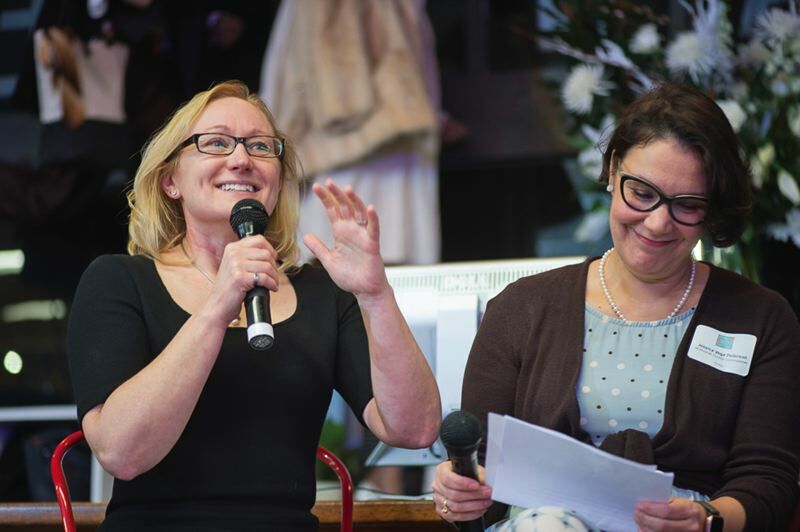 "It's critical that businesses work on these issues," Ashley said before the discussion, which was held at The Urbanite, a new interior design hub in inner Southeast Portland. KIM NGUYEN - Panelists at the Jan. 30 discussion on transportatiion issues were (from left) Metro Council President Lynn Peterson, Multnonah County Commissioner Jesica Vega Pederson, ZGF Architecture principal Nolan Lienhart, and Portland Bureau of Transportation Director Leah Treat. List of projects not enough Although Metro has only just begun working on the measure, some of the themes that emerged at the discussion also have been raised at the few public meetings on the measures that have been held to date. One is the need to offer voters a larger vision to be achieved with them, not just a list of projects. The need for a vision was first raised when Metro took over planning for the transportation from TriMet late last year. TriMet originally had proposed a $1.7 billion measure for the November 2018 election to help fund the $2.4 billion MAX line being planned in the Southwest Corridor between Portland, Tigard and Tualatin. But the regional transit agency ran out of time to finalize enough transit and transportation projects in the rest of the region to help assure its passage. "We need to be able to offer voters a big vision for the measure, like completing our transportation system," Metro Councilor Craig Dirksen said at the Nov. 13 meeting of the finance subcommittee of the regional government's Joint Policy Advisory Committee on Transportation, where the transfer and decision to delay the measure until the November 2020 election was made official. The next day, Metro President Tom Hughes announced the government also would pursue an affordable housing bond measure for the November 2018 ballot. He released a poll suggesting voters would support $500 million to help address the issue that has emerged as the region's top priority. "This poll confirms what housing advocates, renters, seniors and others have been saying for far too long — housing should be an urgent priority for local leaders," Hughes said. "Private developers and nonprofits are not getting the job done alone. It's time for our community to come together and do more to ensure seniors, veterans, families and working people can afford a place to call home." The issue surfaced again at the subcommittee on Jan. 22 when Metro staffers presented their work plan for the transportation measure. The staffers, including government affairs director Andy Shaw, were clear one goal is to identify corridors where affordable housing projects also will be built. Although the subcommittee approved the plan, several members complained they had not yet heard a compelling vision for the measure. And the issue came up again Jan. 29 when the staffers presented their work plan to the final meeting of the Regional Transportation Funding Task Force that TriMet had formed to help draft its failed measure. Task force members were enthusiastic that Metro pursue both measures, and they agreed to send Metro a letter supporting them. But several members also said they have not yet heard a vision that will convince enough voters to pass them. KIM NGUYEN - Business for a Better Portland Chief Collaboration Officer Ashley Henry talks to a member at the Jan. 30 transportation discussion. Corridor concept controversial One apparent problem is the concept of corridors. Over the years, Metro has identified and mapped 24 so-called "mobility corridors" in Multnomah, Clackamas and Washington counties. Metro Manager Tyler Frisbee told the task force they will be narrowed down to the top four or five in the transportation funding measure. But some task force members said they did not understand what Metro meant by corridors. Instead, they wanted the measure to identify projects in larger areas, such as East Portland and East Multnomah County. Metro Councilor Bob Stacey explained those areas could be helped with corridor projects.